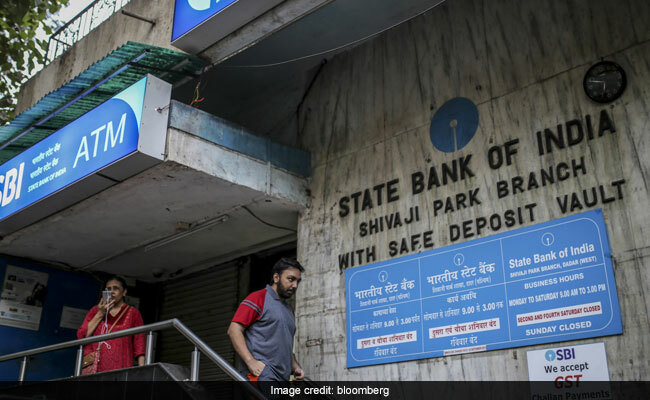 SBI deposit scheme's interest rate: Interest rates on SBI deposit schemes such as FD vary, depending on various factors. SBI provides a wide range of services under its personal banking portfolio. State Bank of India (SBI) offers a variety of options for investors. From savings bank account to fixed deposit (FD) account, the lender provides a wide range of services under its personal banking portfolio. "Whatever your needs be- an investment of your surplus funds or to create a fund for your children's education and marriage. You will find a product from SBI that suits your requirement, delivered at a branch close to you", the lender said on its portal- sbi.co.in. Interest rates on SBI deposit schemes such as FD vary, depending on factors such as maturity period and amount of deposit. SBI pays an interest rate of 3.5 per cent per annum on deposits up to Rs. 1 crore, according to SBI's corporate website - sbi.co.in. Deposits above Rs. 1 crore fetch an interest rate of 4 per cent. SBI's savings plus account is a savings bank account linked to Multi Option Deposit Scheme (MODS), wherein surplus fund above a threshold limit from the savings bank account is transferred automatically to term deposits opened in multiples of Rs 1000. The rate of interest for SBI's savings plus account is same as applicable to SBI's savings bank account. This type of bank account is suitable for entities such as firms, companies, public enterprises and businessmen. No rate of interest is applicable on this type of account, according to SBI's website. Recurring deposit (RD) allows customers to save a fixed sum every month and earn an interest income on the same. SBI's interest rates on recurring deposits (RDs) are same as that on fixed deposit (FD) accounts, noted the lender on its corporate website. SBI's basic savings bank deposit (BSBD) account is primarily meant for economically weaker sections of society to encourage them to start saving without any burden of charges or fees. SBI's BSBD account offers the same rate of interest as applicable to savings bank account. A PPF account provides an investment avenue with decent returns coupled with income tax benefits. Interest rate is determined by central government on quarterly basis. At present it is 8.0 per cent per annum. Interest is calculated on the minimum balance (in PPF account) between fifth day and end of the month and is paid on March 31 every year. The rate of interest for the tax savings scheme is similar to that on fixed deposits. The interest rates for fixed deposit below Rs 1 crore are 6.85 per cent for general public and 7.35 per cent for senior citizens in maturity period of 5 years and up to 10 years.